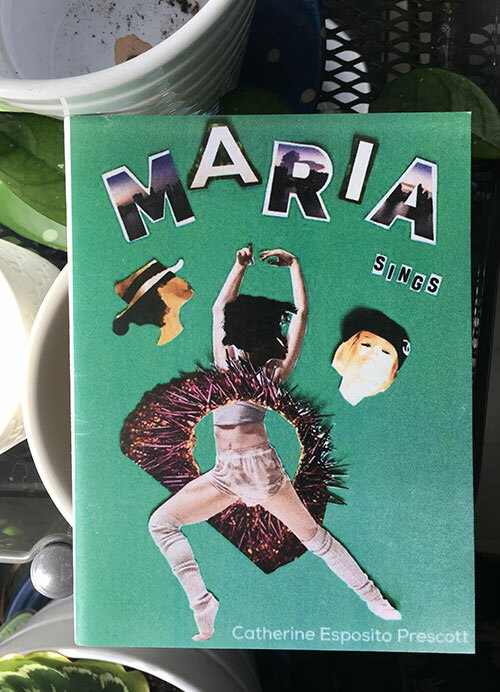 Published by dancing girl press in 2017, Maria Sings is the story about a women named Maria, who is diagnosed with cancer. Maria is surrounded by a group of friends, a chorus, many of whom are named Maria. Maria becomes a symbol, a figure encapsulating the experiences of all women. A short examination about what being a woman in today's society, about the feminine, about disease and healing, about serendipity and hope, Maria Sings is a celebration of womanhood, about a woman's determination to heal, and about her finding her voice. The Orison Anthology is an annual collection of the finest spiritually engaged writing that appeared in periodicals in the preceding year. Our anthology aims to not only fill, but expand, the space left by the absence of the Best American Spiritual Writing series. In addition to reprinted material, each year the anthology will also include new, previously unpublished works of fiction, non-fiction, and poetry by the winners of The Orison Anthology Awards, judged by different prominent writers each year. The judges for Volume 1 were Kevin McIlvoy, Ann Hood, and Claire Bateman. The winners receive $500 each, as well as publication. The winners for Vol. 1 were Jill Widner, Elizabeth Jarrett Andrew, and Christopher J. Adamson. "Hafiz, Gibran, Neruda, Rumi . . . their yoga mats were blank pieces of paper; they did asana with pencils between their fingers; their pranayama was inverted metaphor; and their Samadhi was uninhibited, naked poetry. Yoga is a journey, an intricate dance of mind, body, breath, and spirit. It is cultivation of self-awareness through reflection. The Poetry of Yoga is an ecstatic gathering of poetry written by some of the most accomplished and well-known spiritual teachers of our time. Poems are set in the following yogic themes: compassion, desire, freedom, transformation, and service. A book all yoga practitioners cherish and return to over and over for nourishment and inspiration." Published by White Cloud Press.